Ch Shoukat Manzoor Cheema son of Ch Manzoor Hussain Cheema was born on January 15, 1954 at Wazirabad. He graduated in 2005 from University of the Punjab, Lahore. He served as Member, Zila Council Gujranwala during 1998- 99; as Nazim Union Council No.9, Manzoorabad during 2001; as Tehsil Nazim, Wazirabad during 2001-05. 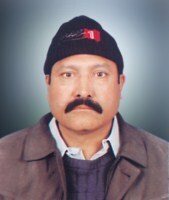 He remained as Chairman, Market Committees Ghakhar, Alipur and Wazirabad during 2001-03; and as Director, Cooperative Societies Union Punjab during 1992-2004. An agriculturist and a businessman, who was Member, Provincial Assembly of the Punjab during 2008-13 and 2013-18 and has returned to the Punjab Assembly for the third consecutive term in general elections 2018. He has travelled to UAE, UK, Saudi Arabia and Iraq. Village Manzoorabad, Tehsil Wazirabad, District Gujranwala.